This month in MMO Co-Opportunities, we take a look at some upcoming MMOs in various stages of development. These are our topics: the announcement of a new World of Warcraft ​expansion, more updates and details on Wildstar’s Warrior, and a new gameplay video from Pathfinder Online. Let’s dig in! Just this last week at BlizzCon 2013, World of Warcraft announced a new upcoming expansion: Warlords of Draenor (WoD). 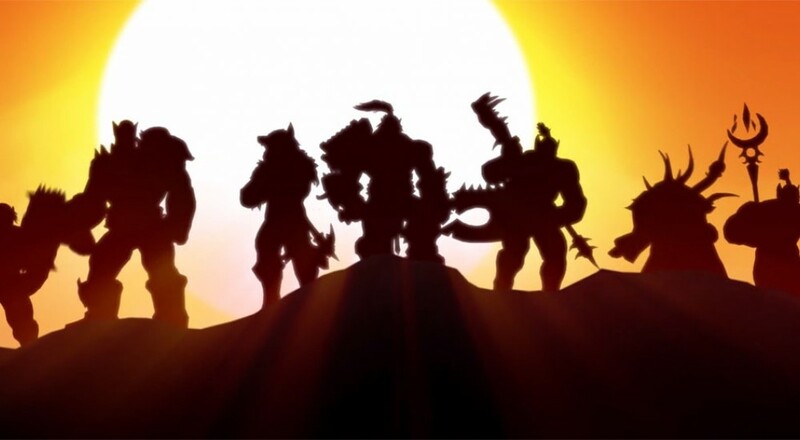 WoD marks WoW’s fifth expansion and will introduce the world of Draenor. To encourage new and returning players, WoD will allow players to boost one character up to level 90 (even if it’s a brand new character) so they can jump right into the new world. Expansion players will be able to construct their own customizable Garrison and recruit NPC allies and followers who can be dispatched to gather resources or complete missions. WoD will also update player character models and animations for many of the older playable races. The new level cap being introduced in the expansion is 100, and there will be new zones, dungeons, raids, and battlegrounds to go with it. Pathfinder Online is a kickstarted MMO that takes place in the tabletop role-playing Pathfinder world. It’s an ambitious project, as it doesn’t aim to be like many other MMOs. Striving for less emphasis on player level as well as a class-less system, PO seeks to be a true “sandbox” MMO. This is a project I’ve been keeping a casual eye on, as I’m a fan of the Pathfinder universe. Unfortunately the game’s release is at least a couple years off, but just last week the devs released a video of some of the things they’ve been working on in Q3 2013. Excitingly, the video shows some gameplay. Take a look at what they’ve got so far. As far as newly-released MMOs, this fall has been somewhat slow; however, much of the information on upcoming MMOs is pretty exciting in my opinion. What upcoming MMOs are you excited about, and why? Or why do you love your current MMO and what has it done recently to keep you hooked? Page created in 0.7645 seconds.